Pretty Paper Studio Launch - Blog Hop! Pretty Paper Studio Launch – Blog Hop! Anyhoo, enough about me. This post in dedicated to Pretty Paper Studio. 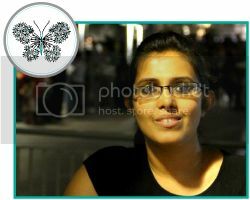 I am sure many of you already know about PPS ran by our very own Neelu from Creating Memories. For those who do not know about PPS.. make sure you visit their website!! PPS is a monthly scrapbooking and cardmaking kit club based in UAE. As a PPS Kit Club Subscriber, you will get some exclusive privileges – discounted prices on kits, more discounts at crops, workshops (both online and offline) and retreats!! They also have other papercraft supplies at very affordable prices in their shop. Howzzat?!! Wanna peek into what their April kits comprise of??? Proof?? Here you go.. There are just few examples of what I came up with PPS’s April Card making kit! Since PPS launched on the 5th on April, as a part of the celebration we have a little blog hop for you!! 7. Shruti – You’re here! Now hop on to fabulous Sasha’s blog.. and I promise you’ll be amazed by what she’s come up with her PPS kit!! The winners of Blog Hop will be announced on April 18, 2012. Announcement – Pretty Paper Studio!! Pretty Paper Studio – ‘Over the Rainbow’ May kits revealed! Pretty paper Studio: Sneak Peeks! all your cards are lovely. simply Awesome cards shruti !!! I am in love with your 2nd card the color is simply beautiful and so is the design….this is mt 3rd attempt at leaving a comment…hope blogger does not eat this one as well!! Thanks Hussena! And am sorry about the comment problems.. Am still trying to fix some issues on my blog!! Lovely cards Shruti….!! Love the first one for its vintage hues…!! I’ll surely enter the candy.. Thank you so much.. Swathi!! 🙂 Am glad you liked my cards..
Oh these are truly SUPPAK!! Love all of them…so so awesome!!! Hope you are getting better now..
All the cards are super cool. i love the beautiful colors you used and the cards are so happy and bright! Nice take on the kits Shruti!! Loved all your cards!! Beautiful catds you have made dear. Utilized your kit nicely. love all your cards…very beautiful! Each so pretty but my fav is the windmill one– so cute and cheerful! 😀 Thank you so much, Doc!! Glad you liked them!! Srutiiii!!! What a stunning bunch of cards you have made… the 1st one has just blown me away….!!!! Its fun hopping and looking at these stunning creations.. well done Shruti… ! 😀 Thank you so much, Priya! Gorgeous cards!! I really love the one where the shapes are outlined in black……really, really fantastic! Lovely cards. Will drop by again! Love the way you have folded papers.. beautiful Dimensions ! first one is amazing shruti and its envelope is also soooo nice..great work !! Pretty cards!! Love the co-ordinating envelope for your card!! Love the vintage styled card and your handmade flowers are stunning!! wow… it looks amazing!!! thanks for the chance!!! Such fantastic work. I loved the 1st card Shruti. Love the Rustic feel you have given to it. Great use of such a lovely kit. P.S. I’m having a Candy on my Blog! Do stop by ! Your cards are so pretty! I love the friends card the best!! Too pretty! Love the concept. Thank you for the tutorial to make those lovely flowers. This blog hop is such fun…so much to learn ! And thank you for the chance to win this amazing kit.